If you want to know which nootropics have the best chance of boosting brain function, and which are probably duds, then you want to read this article. Nootropics are compounds that promote brain growth and learning in a relatively safe manner. While stimulants like caffeine can be valuable study aids they are not, by definition, nootropics. Some nootropics have relatively consistent supporting evidence while others are more hit or miss. Taking a supplement that works for your goals? Making intelligence, logic, and study a primary goal? Taking a supplement to improve intelligence thereby allowing you to choose better supplements and become even more intelligent? That simple connection has led many people to seek out the field of “nootropics,” cognitive enhancing drugs that are purported to have no (or few) side effects. If there actually are things out there that can make you smarter then wouldn’t that be a perfect investment? It’s like a supplement that can help you make great gains except not in the gym, in the workplace, and that’s the place that gets you money! That might sound too good to be true, but the thing is, there are some things that work! There are also things that don’t, though, and there’s a whole lot of confusion about the entire field of nootropics in general. While discussing the entire concept of nootropics is something for another day, why not at least get started by learning what makes a good nootropic? What Makes a Good (or Bad) Nootropic? Nootropic is a term that has seen a surge of popularity in the past few years, marketed quite heavily for their purported benefits to the brain. There’s a difference between “nootropics” and other supplements and drugs that affect the brain, though. The nootropic in question should work to increase executive functions like learning, memory, and some other processes. The nootropic should work in otherwise healthy people; making those already smart even smarter. The nootropic should foster growth and support in the brain rather than cause harm. That last bit is part of why something like fish oil is more likely to be called a nootropic than something like adderall. Don’t get me wrong, some people use adderall as a treatment for ADHD and as an “off label” study aid due to its stimulatory properties, but study aids are not inherently nootropics. You can think of it this way. Nootropics are to multivitamins like study aids are to pre-workouts; they can both work for the same goal but one is designed to provide support and a “base” whereas the other is used to induce go-time. And, finally, nootropics should have some evidence for their claims. There is some value in self-report when it comes to nootropics, being designed to affect the brain and mood after all, but self-reports are still self-reports. With all that said, here are my picks for the top 3 best nootropics to consider and 3 others that are still interesting but unproven. Before we begin, a few clarifications. Some people swear by one thing, others by another, and it’s hard to make a list of the top 3 things that will benefit everybody to a similar degree. So, for this list I focused on dietary supplements (not synthetics like modafinil or adderall) that we have a rough understanding of how they work and human evidence to back them up. There are also many things that act in a synergistic role, supporting other compounds, but don’t work alone; even if piperine enhances the absorption of curcumin it’s not like we can make a ton of great claims on piperine alone. With that out of the way, here are my picks for the top 3 natural nootropics. Bacopa monnieri is a swamp herb from traditional Indian medicine that has been used for a long time for the purpose of increasing intelligence and helping to fight cognitive decline. Now, these claims don’t really hold much weight at face value, but they do hint at the herb being something worth investigating. When western scientists looked into this herb they found that the traditional claims were fairly accurate. Repeated studies have been done on bacopa and all of them come back positive. It’s been shown to improve memory, specifically working memory where you need to keep a concept in your mind for a spell before putting it over into short term memory. These studies were also not just in the elderly with cognitive decline, they were conducted in people of all adult ages. Of course, there is a failure when testing bacopa acutely (after one dose); if there is anything bad about bacopa it’s that it doesn’t work quickly. So, ultimately, there are multiple studies on bacopa and the majority of them show a consistent (albeit somewhat subtle) improvement in learning. The current theory as to why bacopa monnieri does this is through releasing growth factors. 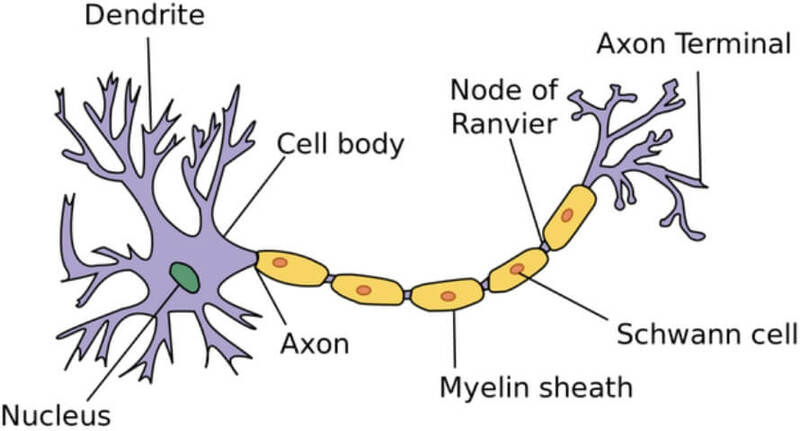 Neurons communicate with each other by signalling molecules called neurotransmitters and they’re released, and absorbed, at the ends of brain cells called dendrites. The growth factors that bacopa release seem to proliferate and support these dendrites, allowing them to pass signals more efficiently. All in all, bacopa monnieri fits the bill for a nootropic by providing a subtle and safe boost to brain health and cognition over a period of a month or more. Blueberry is one of the top 3 nootropics due to it having demonstrated cognitive enhancing abilities. These are due to the pigments in these berries known as anthocyanins and, while studies are done on blueberries, the following likely applies to all dark blue/black berries. Blueberries seem to work, at least in a general sense, similar to bacopa monnieri. By including them in the diet they are able to produce and release a brain growth factor known as brain-derived neurotrophic factor (BDFN), which causes neurons to grow. This has been measured directly in the hippocampus of rats, the hippocampus being one of the major brain organs involved in memory formation, and has even been noted in otherwise healthy young rats. Both of the above studies noted improvements in memory and those improvements correlated directly with BDNF levels and activity. Now, extending that to human studies, we find that juices that have a decent anthocyanin content (500 mg or more) improve spatial recall and verbal memory in the elderly compared to juices without anthocyanins. Furthermore, benefits with anthocyanin-rich juice have been seen in non-elderly adults as well suggesting an inherent effect rather than a specific age-related one. Ultimately, anthocyanins from dark berries have cognitive protecting properties; increasing memory and cognitive function in what appears to be all ages without any known side effects. The reason we do not include blueberry anthocyanins in Ascend is quite simple, it’s extremely expensive to put in a supplement. You may think that eating blueberries daily itself is expensive but it’s cheaper than a supplement. While not the first “nootropic” on the scene, ginkgo has been considered a top mental health supplement for quite a few decades now. Similar to bacopa monnieri, it has history as a traditional medicine for the purpose of cognitive enhancement but, in this case, for Chinese medicine rather than Indian. There’s quite a body of evidence behind it, too, most of it being conducted in researching whether or not daily usage can mitigate cognitive losses with aging. In this regard it shows some mild promise for dementia and mixed results with Alzheimer’s. In older adults who don’t have any problems with cognition, it also seems to improve memory formation with a trend for specifically improving visual memory formation. Whether or not that’s related to limited evidence showing a possible benefit to age-related macular degeneration and eye health in general is unknown, but it’s cool to think about. A brain booster that double-dips by improving eye health. Anyways, carrying on, like the other two options we need to see if this is a specific benefit to the elderly or something that will boost everyone’s brain health. It seems that it can benefit middle-aged subjects with no memory problems, and offers mixed benefits to youth. In regards to “mixed benefits” right there, that study found an improvement in “quality” of memory yet an impairment in the “speed of attention.” Furthermore, at least one study has noted that the same dose of ginkgo affects the elderly more than youth. So ginkgo appears to have benefits to youth but, if you’re young, it shouldn’t be seen as an all-purpose nootropic. Rather, one that seems to specialize in visual/quality factors for memory; might be worth considering if you’re an artist. Gingko is well researched and appears quite safe with the only real issue here being that it does not provide all-purpose benefits to youth. However, you’ll still get something out of it even if you’re young. The reason we do not include ginkgo in ASCEND is because it is not an all-purpose nootropic that supports the brain but, rather, shows more similarities to one that only select people would want to use. If ASCEND is made to be the “core” for you to “cycle” nootropics of choice then ginkgo is a good choice. Unlike many nootropics, ASCEND doesn’t target just one aspect of your mental capabilities at the expense of others or rely on stimulants to produce immediately noticeable effects that may also undermine critical functions or result in unwanted side effects. Instead, ASCEND’s formulation includes clinically effective dosages of nutrients like bacopa monnieri, CDP-Choline, and agmatine, which improve cognition, memory, focus, and mood, as well as provide your brain with key building blocks. By increasing the availability of these substances, you not only improve how your brain operates, but also how it repairs and reconstructs itself. This means that ASCEND does more than just sharpen your focus and mind and elevate your mood, it also helps your body build a healthier, happier, and higher-performing brain. What ASCEND is not, though, is cheap, so if you’re concerned about the price, I understand–you can get a brain supplement for a bit less. Remember that you get what you pay for, though, so generally speaking, the cheaper a supplement is, the less effective the formulation. 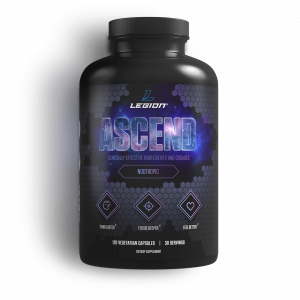 So, if you want to give your brain everything it needs to perform at its best, then you want to try ASCEND today. So, while I promised to talk about the 3 “worst” nootropics, I don’t think it’s fair to say these are bad but rather “less proven” than the ones we just discussed. The 3 I chose are not low hanging fruits. Obviously I could choose something that few people have heard of and nobody uses but that would make a much less interesting article. With one exception in this list, I intentionally avoided discussing synthetic compounds (which most people include in discussions on nootropics). I intentionally chose 3 options that are well researched and, I guess, will probably ruffle a few feathers. So don’t take the following as a list of the 3 “worst” supplements for your brain (meth, alcohol, and some other goodies would take those spots) but rather 3 things that are highly talked about but the praise given unto them doesn’t match the effects of the molecule. But these 3? Yeah, overhyped and interesting to discuss why. Fish oil is definitely the most well researched nootropic on this list, and gets a position in the bottom half of this list for one reason. The studies on fish oil and cognitive performance are all hit or miss, and with every convincing study we get on fish oil increasing memory we get one showing no benefits. Older adults with cognitive decline? Positive results and null results. Older adults without any cognitive decline? Positive results and null results. Youth? Positive results and null results. Now, to clarify; the fish oils are definitely important for brain health and if you’re deficient then you’ll benefit from taking them. It’s also highly important for pregnant and nursing women to consume enough omega-3’s to support the brain of their children. But the idea that taking fish oil, when you aren’t deficient in omega-3’s, to further improve cognition is still contested. It could very well happen (particularly with DHA-rich fish oils at high doses) but it could just as easily do nothing for memory and learning. Ultimately, fish oil is a good compound to have in your diet and it can support brain health. Despite large amounts of evidence, however, it’s not that reliable for improving your memory and learning. Despite fish oils being in this part of the list I do recommend you pair Triton (our fish oil supplement) with Ascend, but mostly just if you have money to spare. It could definitely theoretically work well with uridine, Alpha-GPC, and bacopa but, like I said — theoretically. Piracetam is a synthetic molecule designed many decades ago with the intention of supporting and protecting the brain. It’s sometimes seen as the granddaddy of nootropics because it’s creation actually heralded nootropics as a category. After the creation of piracetam came modifications and other molecules all with the “racetam” name to it. Many of which went nowhere but some seem to have their own unique benefits like levetiracetam being investigated for anti-epileptic properties. But piracetam has stuck around and continues to be recommended as a safe and effective intro-level nootropic for people who are interested in this field. Well, for something with such renown it has . . . well . . . no great human data on it. It’s been tested a few times intravenously for the treatment of vertigo, has a few studies looking at it’s general interactions with cognitive decline, and a handful looking at infant breath holding spells with surprisingly potency. The only relevant study here is a single study on 16 people in 1976 where, after two weeks, there was a bit of an improvement in learning words. Furthermore we don’t really know how it works yet. There are a few theories on the topic but none of them have been hammered out yet. Something with limited applied human evidence should really not have this level of fame but, hey, at least the safety claims seem accurate. There aren’t any reports of people hurting themselves by taking too much, it’s been used in infants without harming them, and with an LD50 of 5.6g per kg in rats (it takes that much to kill half of the rats that take it) it seems to have a very large safety buffer associated with it. Piracetam could definitely have some benefits but, for something that is known to be a “core” nootropic that many people experiment with it simply lacks a ton of applied evidence for it. Huperzine-A is a molecule that was first found in clubmoss and is used, every now and then, as a cognitive-enhancing supplement. The rationale behind this guy is due to the specific neurotransmitter known as acetylcholine, which is mainly known for learning and muscle contraction (the brain and brawn neurotransmitter). Increasing acetylcholine tends to improve learning. Huperzine-A is what is known as an acetylcholinesterase inhibitor, or in simpler terms it blocks the enzyme that normally degrades acetylcholine. By blocking the degradation a relative increase occurs. Due to this property it has been tested a few times for the treatment of Alzheimer’s disease (which is associated with a marked reduction in acetylcholine) with mixed results and for some addictive disorders as well. Relevant to our interests, huperzine-A has been tested in adolescent students where it showed benefits to studying. There’s a concern here with how long huperzine-A stays in the body. It can reach a peak level within 45 minutes so you can “feel” it in your study session but then it can stay in your body for more than a day; it has a half-life of 12 hours (after 12 hours, only half of it will be gone)! What this means practically is that, if taken daily, it’s possible that your body will adapt to it, which would negate the benefits. This isn’t much of a concern for Alzheimer’s treatment where you expect the patient to always take the drug but, for a healthy youth, it’s a potential risk. Unfortunately, not many studies have been conducted evaluating this risk so it’s more theoretical prudency. If you choose to use huperzine-A as part of a studying stack try not to use it daily. Huperzine-A is an effective acetylcholine boosting agent and can improve memory formation but, ultimately, needs a bit more safety testing to flesh it out. At the end of the day, “nootropics” is just a fancy word for “brain supplements.” You can supplement things for your muscles, for your intestines, and for your stomach; of course you can plop things in your body to support your brain. People conflate compounds that support the brain with ones that force an effect that’s beneficial to studying, such as stimulants like adderall. Many different things are being researched at once, which means there isn’t that much research behind any one ingredient. Despite these issues, nootropics are never going away. The idea that you take a supplement, become smarter, and then with improved intelligence get a better understanding of what can help you even more is enticing; it’s a positive snowball effect if you choose right. Oh, and if you’re interested in dipping your toe in the water, may I suggest you try ASCEND? If you don’t like it, we’ll refund your money on the spot with no questions asked, so you really can’t lose. What’s your take on the best and worst nootropics? Have anything else to share? Let me know in the comments below!